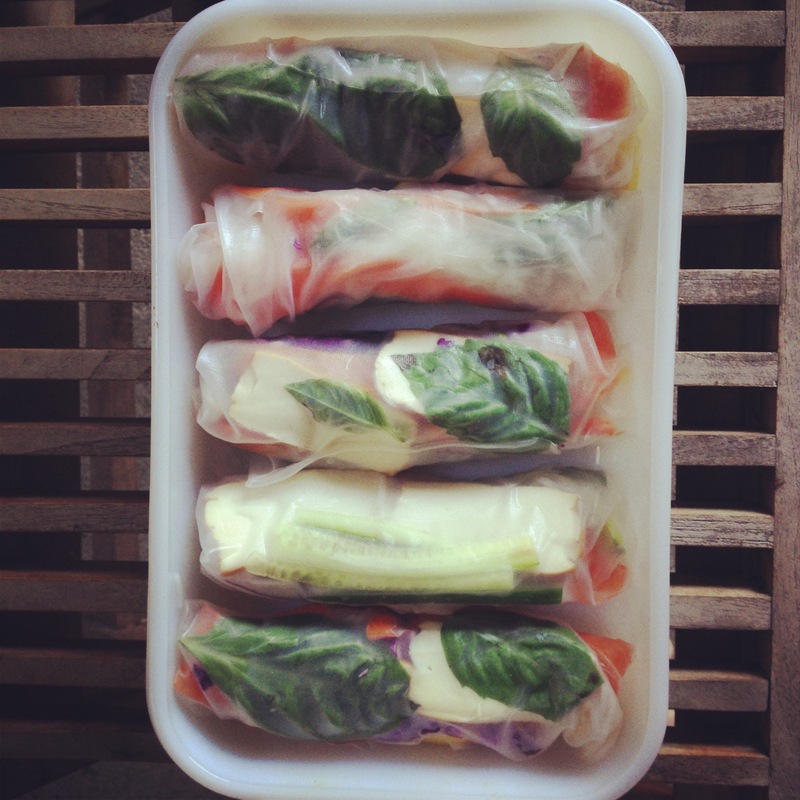 salad rolls are a really good versatile summer snack (or meal, or side). think of this recipe as a guide and use whatever vegetables and fillings sound good to you, cut thin or shredded. also these travel well for a picnic or the beach if you can get the sand off your hands. Soften wrappers in a large shallow dish or warm water, one at a time as you’re making the rolls. lay it on a plate, put basil leaves down the centre then fill with other ingredients as you like. leave a bit of space at each end and quite a bit on either side. fold the shorter ends in the roll to seal, you want them pretty tight but you don’t want the paper to tear. repeat with remaining ingredients! Serve with lots of satay sauce! -tofu or tempeh! marinate in a mixture of soy sauce, mirin, a few drops of sesame oil, 1 big tsp grated ginger and 1 big tsp grated garlic for 20 minutes then pan fry.